Photo by Al Bello/Getty ImagesCanelo Álvarez. 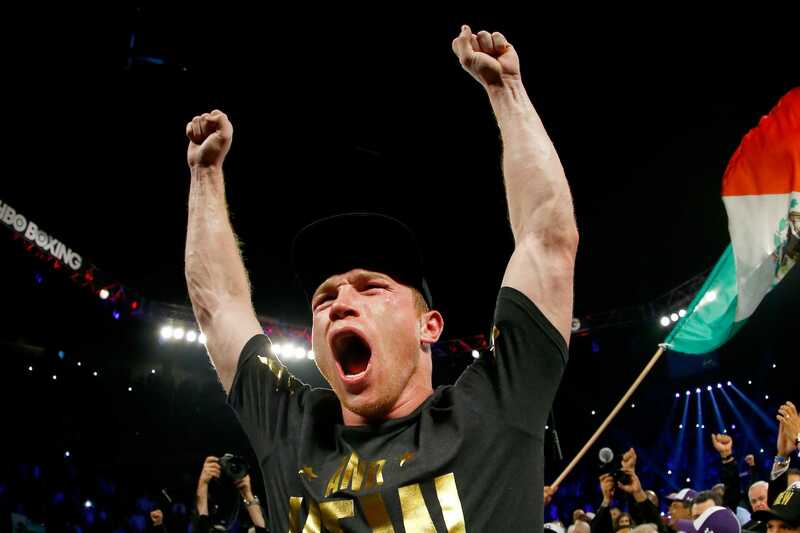 Saul “Canelo” Álvarez is kind of a big deal. Now Floyd Mayweather has retired, Álvarez, with his stocky pressure-fighting style, is boxing’s biggest box office attraction. The Mexican has already competed in four of the 54 best-selling pay-per-view (PPV) events in combat sports history, according to this Business Insider list. And, at 28, age is clearly on his side to compete in even more of the biggest fights in the modern era. But Álvarez has just signed an agreement that moves him away from PPV and into the subscription model, having struck a $US365 million deal with the over-the-top platform DAZN to contest 11 fights exclusively on the startup’s channel, over the next five years. The first of those bouts has already been booked, as Álvarez takes on British fighter Rocky Fielding in America on December 15, but DAZN will be banking on “Canelo” taking on boxing’s best – and that means fights against the biggest combat athletes on the planet in and around the middleweight divisions. Keep scrolling to find out who Álvarez could be fighting on DAZN based on legitimate rumour and industry chatter. This is Saul Álvarez. Nicknamed “Canelo” because of his cinnamon-coloured hair, Álvarez is one of the most popular boxers on the planet right now. The 28-year-old has been competing professionally since he was 15 years old, and has victories over Shane Mosley, Miguel Cotto, Amir Khan, Julio Cesar Chavez Jr, and Gennady Golovkin. It is perhaps this pedigree that made world heavyweight champion Anthony Joshua rank “Canelo” as the best fighter in the business when he spoke about Álvarez last year. 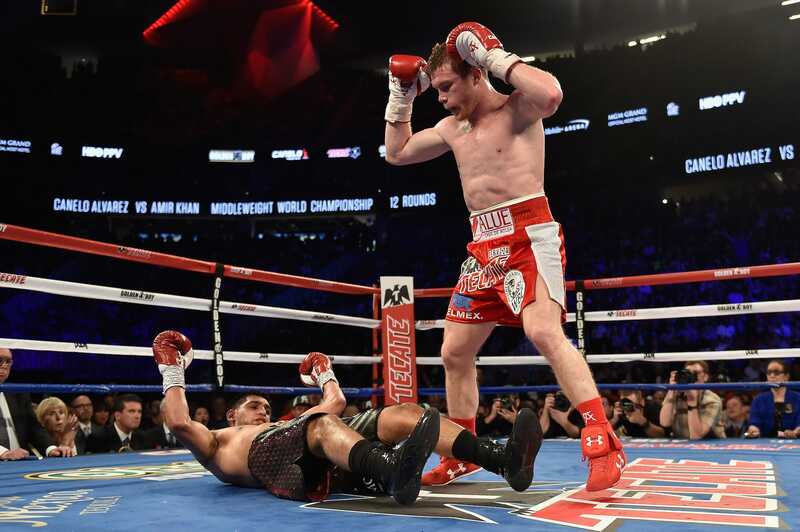 Saul “Canelo” Álvarez record: 50 wins from 53 fights (34 by way of knockout), with two draws and one loss. Álvarez has been involved in four of the 54 best-selling pay-per-view events in the history of combat sports, according to this Business Insider list. Canelo Álvarez, a middleweight, will jump a division to challenge British super middleweight Rocky Fielding next, an opponent he is expected to bowl through with ease in a WBA championship fight at Madison Square Garden in New York on December 15. The Fielding fight will be Álvarez’s first of 11 contests under the DAZN broadcasting banner. Rocky Fielding record: 27 wins from 28 fights (15 by way of knockout) with no draws and one loss. Gennady Golovkin record: 38 wins from 40 fights (34 by way of knockout) with one draw and one loss. Golovkin has been involved in the 21st and 34th best-selling pay-per-view events in combat sports history, and both fights have been against Álvarez. A trilogy bout between the two rivals would surely generate big business once again, albeit for DAZN’s subscription numbers rather than PPV figures alone. Source: Sky Sports and Business Insider. 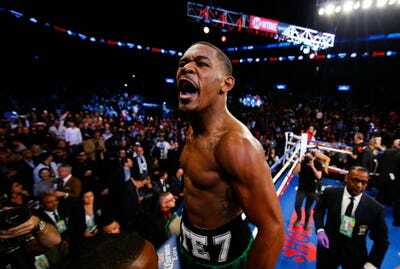 A rematch with Floyd Mayweather, should the American come out of retirement again, also excites Álvarez. “You know if he wants to return and have fights, he should return and fight me,” he said, before warning that he is confident of reversing the result the second time around. “It would be tough for him but I know that he wouldn’t want to take that risk,” Álvarez added. Mayweather, clearly keeping an eye on Álvarez, begged to differ and even posted on Instagram on Thursday that his 2013 ruckus with “Canelo” was the “easiest night” of his entire career. As Mayweather was a Showtime fighter in the tail-end of his career, broadcasting rights would be an issue as Álvarez is exclusively DAZN’s commodity. 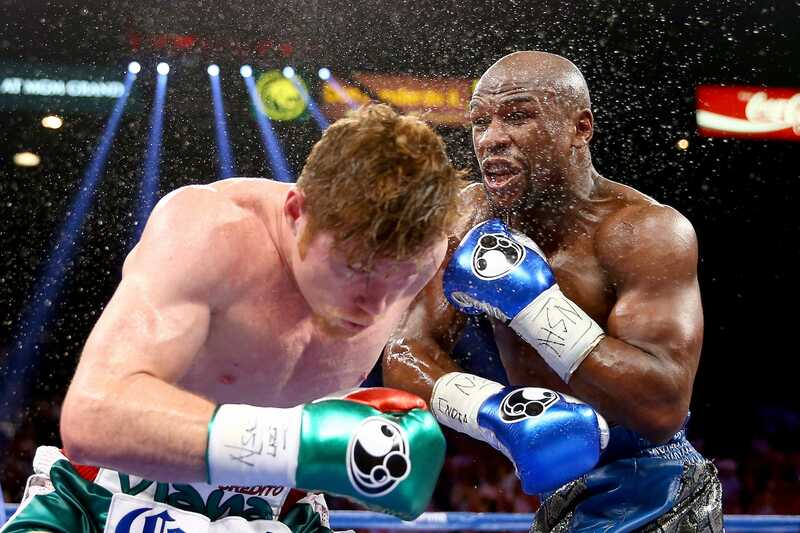 Floyd Mayweather record: 50 wins from 50 fights (27 by way of knockout) with no draws and no losses. Mayweather has been involved in 10 of the top 54 best-selling pay-per-view events in combat sports history, including one appearance at Wrestlemania XXIV in 2008. Mayweather is known as the “Money” man of boxing for a good reason – he knows how to sell fights, and he sells them well. A rematch against Álvarez would likely be one of the biggest combat events of all time, just like the first bout was five years ago. 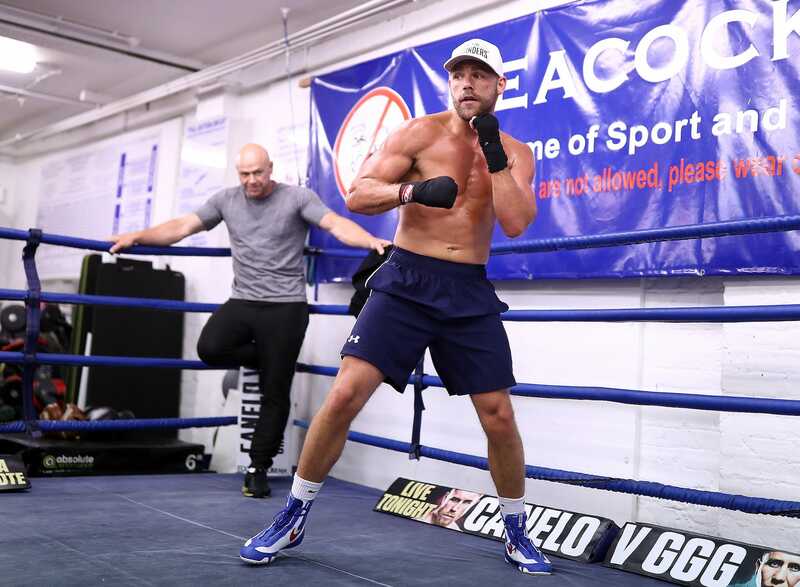 Billy Joe Saunders is a technically-gifted southpaw, with exceptional wins over David Lemieux, Andy Lee, and Chris Eubank Jr. His antics out of the ring — taunting a drug addict on video, testing positive for the banned substance oxilofrine (a stimulant), and watching on as his 7-year-old son punched his opponent in the crotch at a 2017 weigh-in — overshadow his talents, but he remains a formidable threat to Álvarez’s claim to the middleweight throne. Saunders told Álvarez and Golovkin he would fight the winner in America at a press conference in 2017, and when Álvarez’s schedule clears, it might be a challenge he accepts. Billy Joe Saunders record: 26 wins from 26 fights (12 by way of knockout), with no draws and no losses. Source: The Telegraph, ESPN, Business Insider, and BT Sport. Danny Jacobs was diagnosed with a rare form of bone cancer in 2011. The “Miracle Man” survived, has thrived in the middleweight division, and could soon share a ring with Álvarez. The American’s promoter, Eddie Hearn of Matchroom Sports in England, has an exclusive deal for his fighters with DAZN in the US, which is the broadcaster “Canelo” has just signed with. “I can tell you that we love the fight,” Hearn said earlier this year. Because of that DAZN relationship, this is a match-up fans will likely see in the years ahead. Danny Jacobs record: 34 wins from 36 fights (29 by way of knockout), with no draws and two losses. Gilberto Ramirez record: 38 wins from 38 fights (25 by way of knockout), with no draws and no losses. Source: Business Insider and Boxing Scene. Conor McGregor record: One loss from one fight (in boxing). 21 wins from 25 fights (18 by knockout and one by submission), with no draws and four losses (in MMA). Source: The Joe Rogan Experience podcast,CBS Sports and Business Insider.